A friend started a gratitude journal last week to help refocus on all the things that bring thankfulness. It is changing their attitude already. I have been writing in a journal for over 20 years. My style and purpose have changed & transpired, it ebbs and flows as to its purpose. I inherited the legacy of writing a journal from one of my grandmothers. She would journal about 2 – 3 lines each day. It included facts I would never mention, and didn’t understand its purpose for many years. She would mention the weather ~ every day. She would mention what my dad had to say (he visited her almost every day of her life). She even had notes on her personal calendar about a schedule for trimming her toenails! This journal began to weave a story over time, however. My dad was a freshman in college when WWII broke out. He was drafted after his first year, served his country magnificently, and returned back to college later. He later was drafted again for the Korean War. Details we have because of her notes. I began to journal when I was a newlywed, and realized how her stories impacted my appreciation for how her life had progressed. I realized it was a story of both daily life and rising above the situations that transpired throughout her life. So many stories I could tell of the things she saw in her lifetime. She was born in 1900. Can you imagine the changes she saw? Neither can I.
I wrote in my journals initially about my daily life. I have never been a faithful writer like her, and do not write every day. When I do, it is a book. I have notes of people I am praying for, and will write later how the details were miraculously worked out when things looked impossible or unexplainable at the time. I have at times written solely about what God is doing in my life. The only consistent thing is that I have continued to write. I learned today about a family member who had a sudden illness come along just this past Wednesday. She went from a small infection on her back to being careflighted and emergency surgery to save her life in a matter of days. At this time, I do not know if she will survive or not. But I will journal about it. I wrote about how life-changing the last few weeks have been with regards to the Joplin tornado. It is both a historical and personal event. I hope that my journal is a source of strength for my family someday as they follow the highs and lows of my life, and see the source of my strength through every trial. My greatest concern when the life of emails, Facebook, twitter, etc came along was that we would lose that sense of permanently engraving life’s small moments that transpire into the story of our lives ~ and everyone has a story. I write this at an extremely reflective time in my life, but I hope it will encourage some to start the process of a life journal. If you have one and haven’t written in years, start writing. Stop reading this blog and start writing. I found several sources that provide great tips for anyone, and wanted to share some of the things I have found. I like writing in my regular journal for my gratitude journal. I own a Journible for the book of Philippians, which is a way to write out a book of the Bible. I hope some of the ideas below inspire you to get started. I know many people who keep a journal for each of their children, that they will give to them at a later date. Others keep an art journal of drawings. 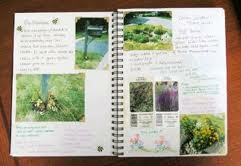 Some have poetry journals or photo journals via scrapbooking, etc. I have included links for various suggestions on journal ideas. You might find that you prefer to write about a particular topic, not just to write out the story of your life. It is still a great way to tell a story about what things are at the center of your heart. Be yourself, without the restraints of how anyone else journals. Free journal to download for your computer – this journal makes suggestions for certain topics, such as the weather. It allows you to add photographs and hyperlinks. You can have it password-protected. I reflect on this past year alone, and I’m so thankful to have a journal. Every single person has a story to tell. What do you journal about? Who do you want to share your journal with? How can your journal make a long-lasting impact? You may be the next Anne Frank. What are the stories of your life? What suggestions do you have for keeping a journal? For keeping a written record of your blog, if that is how you journal? A journal will not only change your life. It will impact the lives of others who read your stories.